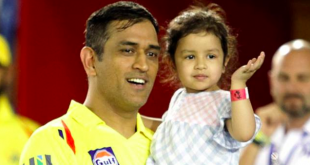 Baby Ziva wanting a hug from Daddy Dhoni during a match is just too cute! In a video posted by Dhoni, Ziva is seen adamant about entering the field and giving his dad a hug. Can be she be any more lovable?